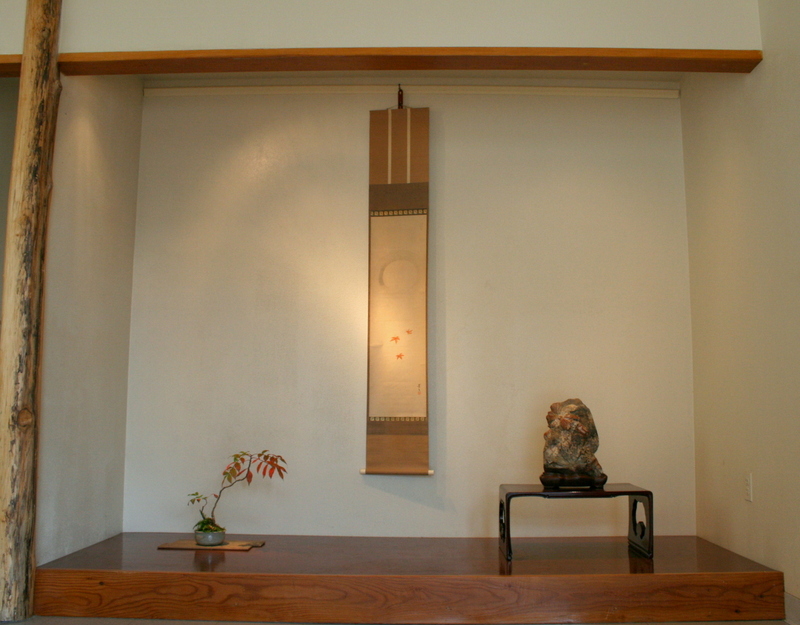 The first tokonoma display of fall is traditional three point display made up of a stone, a scroll, and an accent plant. A typical three point display contains a primary element that holds the visual weight of the space. 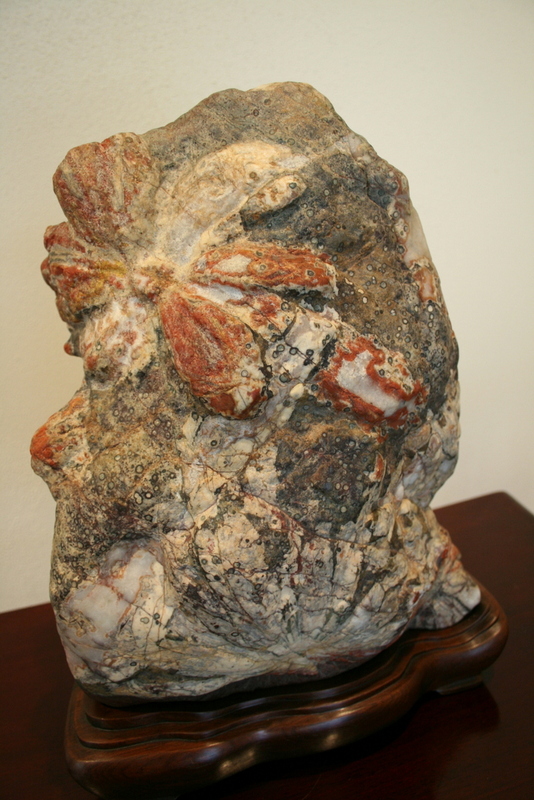 This is typically a bonsai or viewing stone but can also be a scroll. The second element has less visual weight and can also be a bonsai, stone, or scroll. The third component can be an accent plant, small stone or some decorative art object like an okimono. 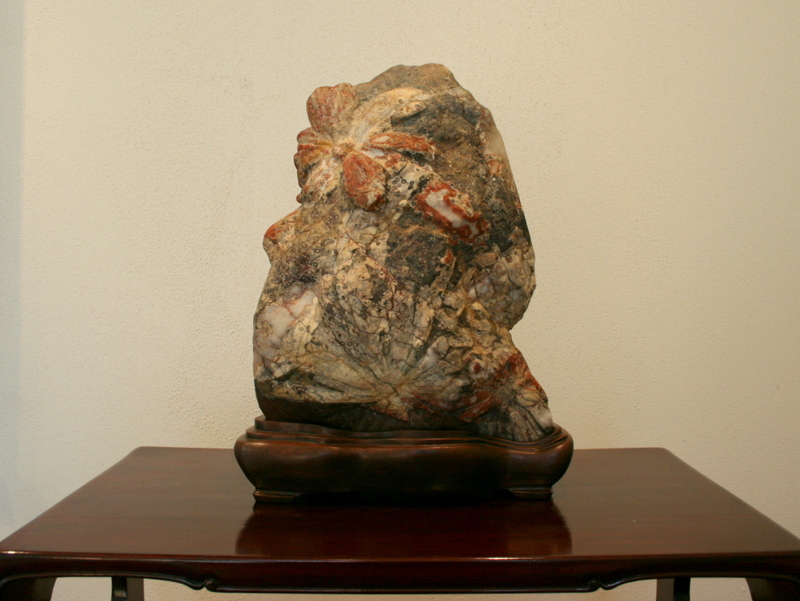 The primary element in this display is a Chrysanthemum stone from Sado Island donated by Ralph Johnson. This close-up view of the stone shows the various mineral deposits within the stones matrix. 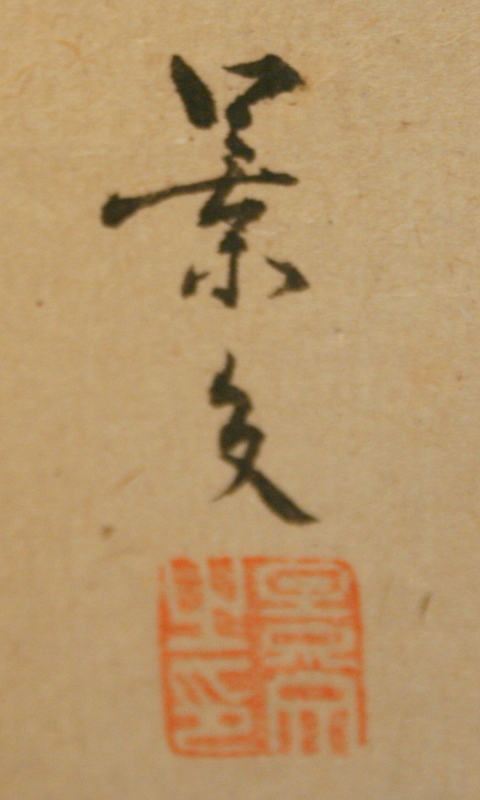 Signature and chop of Matsumura Keibun. The third and last component is an accent planting of Sumac, Rhus copallium, in fall color with fern, Selaginella sp. This display was only installed for a few days as the Sumac quickly dropped its leaves. Fall is a wonderful time to create displays as trees and plants are changing color on a daily basis. 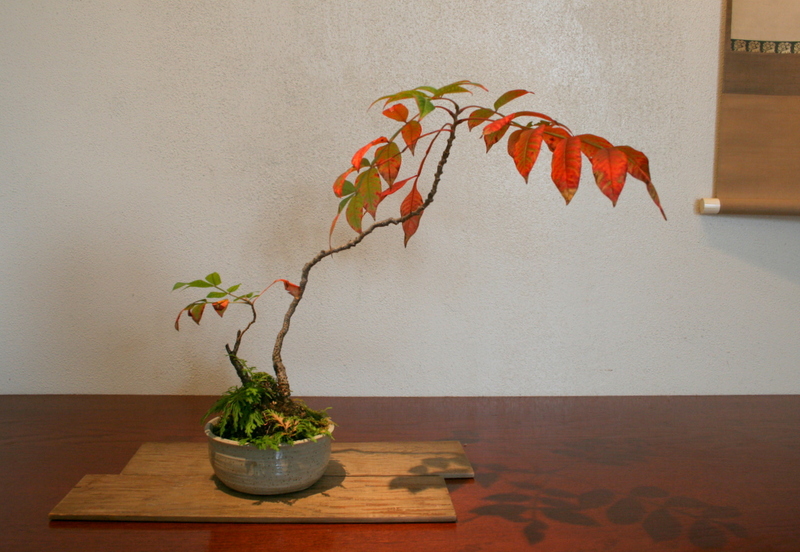 On that note, our annual Fall bonsai exhibit opens tomorrow, Saturday October 20th and continues through November 4th. This entry was posted in Display and tagged Accent plant, Autumn, Chrysanthemum Stone, Display, Japanese Maple, Matsumura Keibun, Tokonoma, Viewing Stones by aarinpackard. Bookmark the permalink.